You can use your Trezor safely with any computer, even one you do not trust. The method for entering PIN on Trezor devices is one that is both convenient and highly secure. PIN input on Trezor Model T is easy - just use the device touchscreen. Trezor One uses a blind matrix. See this video or this video to see how it is done. At first, it is probably much easier to grasp this concept if you are clicking on the tiles using your mouse - trying to match the position of the individual digits in the 3x3 PIN matrix. 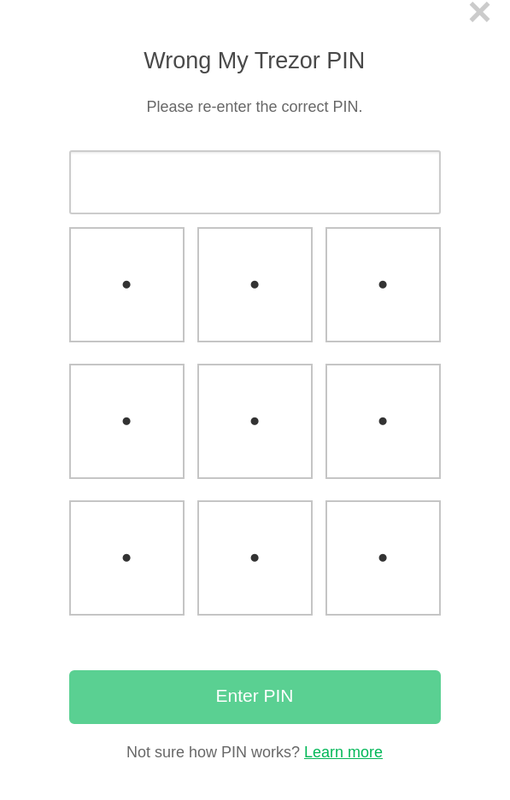 If you are entering the numbers using the numpad on your keyboard, you also have to visualize the nine keypads on your keyboard as empty tiles. 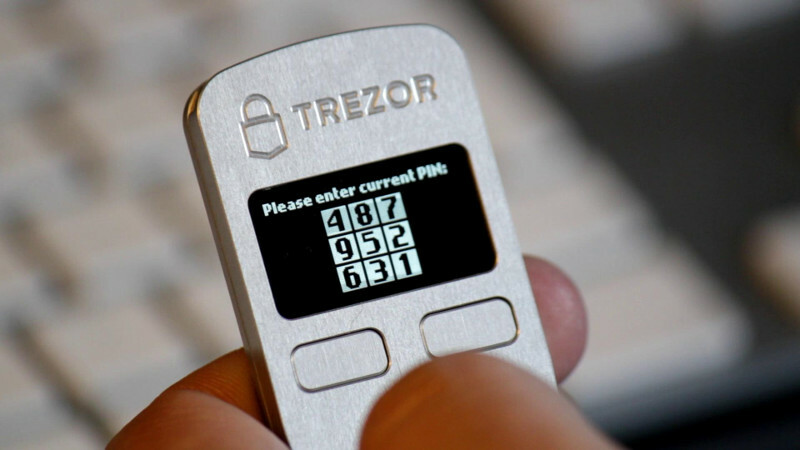 Again, you have to match the position of digits shown on your Trezor device screen. This position is randomly shuffled every time you connect your device. Now entering your PIN should be easy! ImportantWhen setting up your Trezor device for the first time, you have to enter your new PIN twice. Notice that the numbers shown on Trezor change between the two entries. If you are not sure about what PIN to use, you may want to see Security best practices or this blog article. This page was last edited on 1 October 2018, at 14:16.